Liverpool beat Chelsea 2-1 in the FA Community Shield at the Millennium Stadium, putting the champions on notice that they are serious about stealing their English Premiership title. 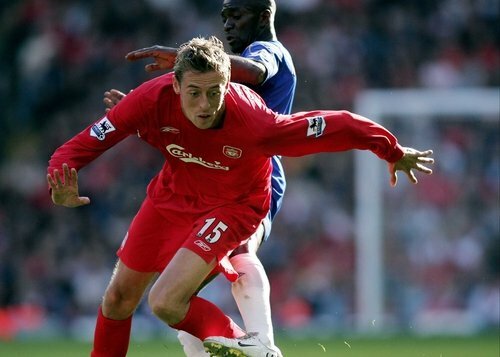 In the English top flight season's traditional curtain-raiser, which pits the champions against the FA Cup holders, England striker Peter Crouch headed an 80th-minute winner to earn the Reds some early silverware. John Arne Riise had put Liverpool ahead in the ninth minute. However, Andriy Shevchenko scored his first competitive goal for the Blues in the 43rd minute to equalise before Crouch killed off their challenge. Chelsea manager Jose Mourinho handed competitive Blues debuts to new recruits Shevchenko in attack and Germany captain Michael Ballack in midfield. Their Czech Republic goalkeeper Petr Cech and England midfielder Joe Cole were ruled out through injury. France midfielder Claude Makelele was rested and compatriot William Gallas was nowhere in sight, the French defender's relations with Mourinho still sour. New England captain John Terry led the Blues out, while his international deputy Steven Gerrard started on the Liverpool bench. Defender Jamie Carragher skippered the Reds instead. Liverpool, who beat Israel's Maccabi Haifa 2-1 in a Champions League qualifier first leg at Anfield, started the Community Shield with Wednesday's match winner Mark Gonzalez on the left wing but left the other goalscorer, Wales striker Craig Bellamy, on the bench. Large sections of the Chelsea end were unsold, giving Liverpool fans plenty to crow about throughout. Shevchenko created the game's first chance in the ninth minute when he burst through the Liverpool defence to reach the goal-line. The Reds forced the ball out for a corner and scored immediately on the counter-attack. Riise, no stranger to pelting in shots from distance, ran half the length of the pitch unchallenged before blasting a fierce low shot from 25 yards. The ball dipped late, foxing goalkeeper Carlo Cudicini to Riise's utter delight. Riise had given Liverpool an early lead against Chelsea here once before: he scored in the first minute of the 2005 League Cup final - which the Blues won 3-2 in extra time to give Mourinho his first trophy in English football. Ballack was cautioned early and Chelsea midfielder Frank Lampard was booked in the 17th minute for kicking Bolo Zenden. And Ballack's day was spoilt further when he strained a left hip muscle and was replaced by Salomon Kalou 26 minutes in. Shevchenko gave Liverpool a warning in the 35th minute when he forced a parried save out of Jose Reina by cutting across the top of the penalty box and firing a low shot across the Reds goalkeeper. Lampard set up the equaliser, chipping a ball over the top from the half-way line and with defender Steve Finnan nowhere near Shevchenko, the Ukrainian chested the ball down on the edge of the box before calmly slotting it past Reina to level for the Shield holders. The match's tempo slowed down in the second half as both sides made a flurry of substitutions. Man-of-the-match Momo Sissoko asserted calm authority in the Liverpool midfield, though the Reds struggled to penetrate the champion’s defence. Bellamy, a passionate Liverpool fan since childhood, set up the winner with a cross from the left. Beanpole forward Crouch, who had had a quiet match, rose at the far post to power a downward header past Cudicini. The Italian stopper was forced into an excellent save with four minutes left when he tipped a misdirected effort from Liverpool substitute and newcomer Fabio Aurelio around the post. Liverpool have not won the English championship since 1990, but sent a message to Chelsea and the rest of the Premiership hopefuls that they intend to be a force to be reckoned with this season.